Telegraph file photo by TOM KING Bishop Guertin's Hannah Muchemore drives against Pinkerton's Madison Mahoney (14) and Brooke Kane during last year's Division I title game. All three players will be on the Hackler Gym floor in Derry tonight in a regular season rematch.. 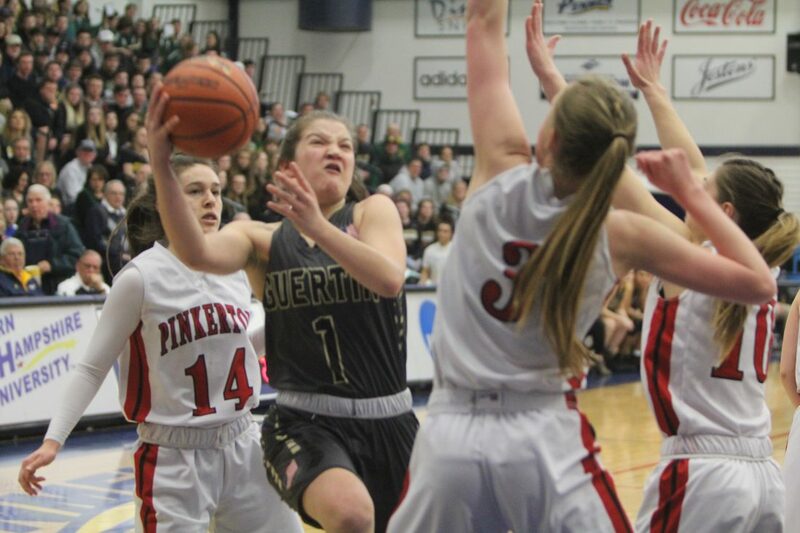 The basketball season for the Bishop Guertin High School girls has finally arrived. The previous month-plus could almost be contrued as a glorified preseason. There haven’t been many challenges for the Cardinals. They even blew past rival Bedford just before the holidays. But tonight they face a very important one in a rematch of last year’s Division I title game, vising Pinkerton Academy at the Hackler Gym in Derry at 6:30. The Astros, who lost to the Cards 54-34 in that title bout, are 8-0 and have won their games in the same easy fashion as the Cardinals, who are 7-0. Pinkerton’s average margin of victory has been 32.3 points; the Cards’ average margin has been 40.7. The Astros have been a contender routinely under the coaching of Lani Buskey. They graduated just two seniors from last year’s squad and have a couple of elite players to lead the way, six-foot senior Brooke Kane (18 points in last year’s title game), who is headed to the University of New Hampshire next year, and senior guard Madison Mahoney, who will take her talents to Souhern New Hampshire University. Plus, the Astros can do something a lot of teams can’t when facing the Cardinals – match their depth. That certainly describes the Cardinals, who are going to look to push the tempo, something they have been able to do thus far this season with their tough, tenacious defense that forced 17 turnovers in last year’s title game. The Astros will likely want to slow the game down on offense and also force BG to shoot from the outside, something the Cardinals have improved on this year. 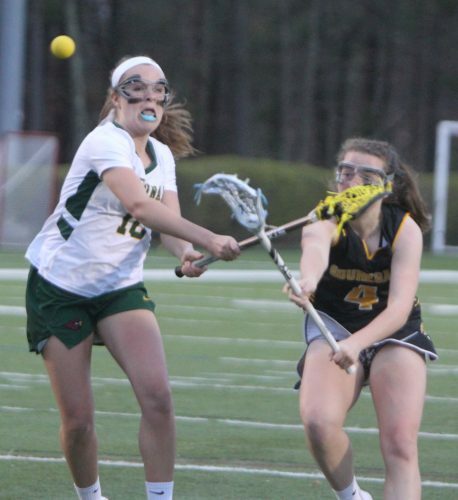 Guertin has been led by its guards Erin Carney and Hannah Muchemore, who have basically picked up where they left off last season both offensively and defensively, with Carney the team’s top scorer. But the Cardinal front line of sox footters Ava Owens and Addison Smith, plus 5-11 forward Aaliyah Foreman have gotten stronger, and that will be a key in battling the likes of Kane inside. And then there’s more. One of Eastern Massachusetts’ better teams, Braintree, visits the Colligadome on Monday night, have a rivalry game at Nashua North next Thursday, and then Connecticut’s Mercy High School visits Nashua next Saturday. The warmup for all this was a 74-40 win at home over Manchester Memorial this past Tuesday. A few hours after the Cardinals won their title at the SNHU Fieldhouse last March, the Campbell boys basketball team had their Division III title shot against Somersworth and had the Hilltoppers where they wanted them, up 30-22 with a tad over four minutes left in the third quarter before the Cougars lost their stride. 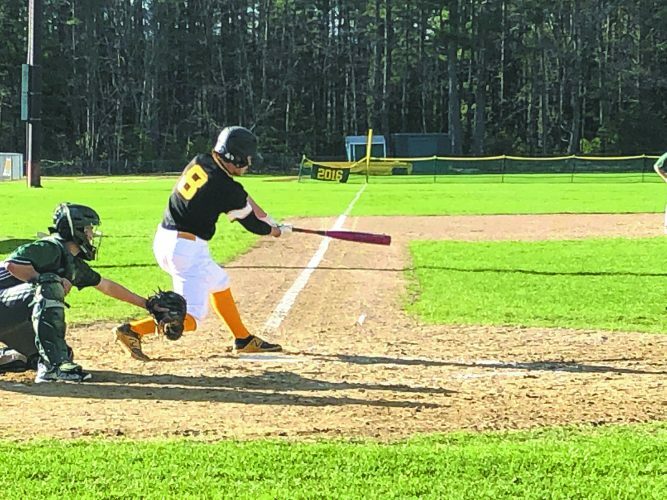 Right now, as Division III’s only unbeaten team (7-0) after knocking off the other unbeaten, Hopkinton, the other night, they’re hoping to get back to that big stage. One of the differences is the change at head coach, as Frank Girginis took over for Sudi Lett, who left to coach his alma mater Manchester Central. The goal for the Cougars, who visit Prospect Mountain tonight, is to not run out of gas this time. And that’s not easy for a team that likes to play up-tempo. “Coming in, that was the goal,” Girginis said. “We’re going to work harder at practice, we’re going to go up-tempo, we’ve done two hour workouts where it’s been non stop, and they’re just moving the whole time. The Cougars definitely, after having the taste of a title game last year, are committed to getting another shot. Girgnis would love to sneak up on people but that’s not going to happen. Now. Speaking of reaching where they want to go, the Nashua High School South-Pelham hockey team wants to make it two years in a row for the Division I tournament. They are 3-4 right now, have back-to-back games against contenders Bedford Saturday at St. Anselm’s Sullivan Arena and (scheduled) vs. Concord Monday afternoon at Conway Arena. After that the rest of the schedule is against teams on their level, including two vs. rival Nashua North-Souhegan. Which, he noted, they didn’t do even in beating Manchester Central-West the other day 8-5. There seems to be a feeling that the Little Green-Blue Knights co-op will be on the rise over the next couple of years with a host of freshmen supposedly coming in to join the 10 who are already on the team. Both the Kings and the North-Souhegan Saber-Titans have been there. Condolences go out to the family of former Nashua athletic department administrator and tennis coach Suzanne Klink, who sadly passed away this week after a three-year battle with cancer. Klink eventually became the athletic director at Pembroke Academy, before her illness impacted her career. Wherever she worked in athletics, she was immensely popular. 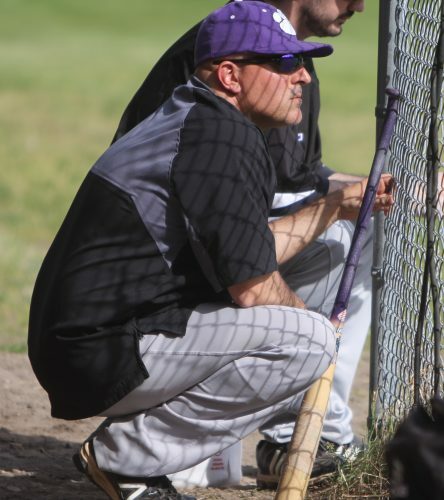 Back to Litchfield, where Campbell will once again be looking for a varsity baseball coach, their third in three years. The process began when longtime coach Jim Gorham retired after his 2017 team won the Division III title. The search for his replacement last year hit a speed bump when Wil Henderson declined to take the job after it was offered and the Cougars turned just prior to the start of practice in mid-March to former Daniel Webster College coach Jim Cardello, who also has a strong softball background. Cardello, however, informed athletic director Jared Mills he wasn’t going to be able to return this spring. But Mills expects to settle on a coach much sooner than he did a year ago, and wants a long-term solution. Mills said no one on Cardello’s staff applied for the job. It’s that time again: Battle of the Bridge, winter version. Right now the Nashua High School North and South teams are deadlocked at 1, with North winning boys track and South taking the recent girls meet. Things resume Monday (as scheduled), with the boys and girls ski teams competing at Pat’s Peak at 4 p.m.
Tuesday, boys and girls swimming at the Greater Nashua Boys & Girls Club, 4:30 p.m.; Monday, Jan. 28, varsity ice hockey, 6 p.m., Conway Arena; Wednesday, Jan. 30, Gymnastics at 5 p.m. at Absolute Gymnastics; varsity wrestling at 6 p.m. at Nashua South. A big day is Thursday, Jan. 31, with mainly sub-varsity events, though it starts with Unified basketball at South at 3 p.m. The rest are at South as well: Freshman boys basketball, 4 p.m. (medium gym); Girls JV basketball, 5 p.m.; boys JV basketball, 6:30 p.m. The girls and boys varsity basketball teams play their annual doubleheader on Friday, Feb. 1, starting with the girls at 5:30 p.m. and the boys at 7, at Nashua South (snow date Saturday, Feb. 2). Finally, the JV hockey teams play Wednesday, Feb. 13 at Conway Arena at 6:20 p.m.
Friday is usually a big basketball night, but Nashua South will be hosting Concord in a varsity wrestling dual meet in the school’s medium gym. The highlight of this will be the attempt for Panther wrestler Tom Cullerton to get his 100th career win.